The success of Bitcoin has led to the popularity of blockchain, a technology that is likely to have a huge influence on the eLearning industry. Most of us by now are familiar with how blockchain works, but let’s have a quick look, before moving ahead with the impact it will have on the eLearning industry. The blockchain is nothing but a digital ledger that is distributed via a network of computers. This network securely logs each transaction, thus making it secure and the most sought-after technology in recent times. It does this by matching the block with the batch of the transaction. Each block is assigned a signature and later are linked backward. It also captures the record of transactions executed, and most importantly, can’t be tampered. Despite its growth, the online education sector is facing a few challenges; one of them is a low retention rate. Amy Ahearn, in his column titled ‘The Flip Side of Abysmal MOOC Completion Rates? Discovering the Most Tenacious Learners’, mentions that only 5.5% of candidates who enroll in the online courses finish and get a certificate. At this retention rate, the online education industry is not able to meet its goals. The primary reason for such shortfall can be the eroding interest in the course. Blockchain can play a vital role in reviving the efforts by offering certain tokens or benefits that candidates can use later. The desire to get tokens can keep the interest alive in students thus increasing the retention rate, gradually. With increased demand for online education, the market of fake degrees is on the rise as well. Slowly, this is emerging as a major concern for many educational institutes and industries from across the globe. Blockchain could be the perfect solution to tackle this. Educational institutes can support a real copy of the degree with a virtual copy via blockchain technology. 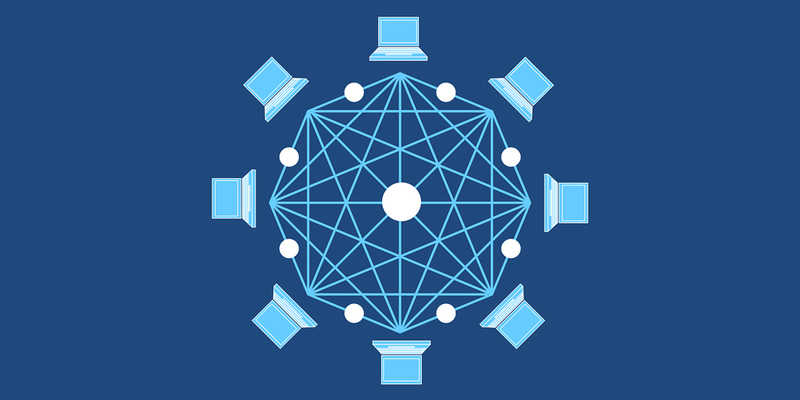 Blockchain technology focuses on a decentralized system as opposed to a centralized operation. This, eventually, will restrict the chances of any alteration or forgery of the degree issued by the institutes. Presently, a well-organized tutor-student networking platform is missing in the education sector. Though a lot of tutors are using platforms like YouTube, to reach out to their audience, the transparency is still questionable. Blockchain might bridge the gap by establishing a strong peer-to-peer network. With blockchain, there will be a direct connection between tutor and student, in terms of interaction and payment. Tutors will get ranked by the students based on the quality of materials they provide. Whilst it will help students to select the right tutor from the available pool, it will also motivate tutors to improve their quality to get the attention of students. It would work like YouTube – good video, more views, more subscribers. We can expect more platforms to emerge to cater to eLearning. The jury is still out on how blockchain technology can be used in eLearning to make it more organized and improved. There are some companies who have started working on eLearning platforms and are expected to introduce them this year. The eLearning industry is expected to make the most of well-tested blockchain technology.